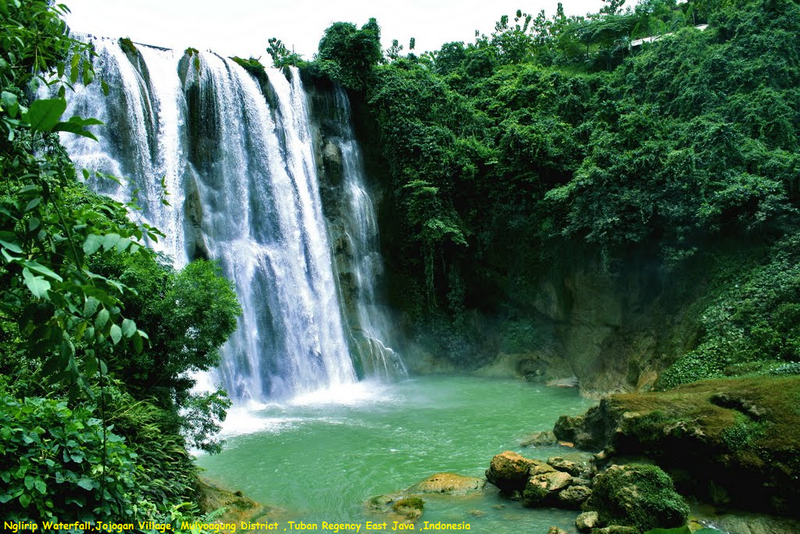 Nglirip Waterfall or known as Grajagan Nglirip is located in Tuban Regency, about 35 kilometers southwest of Tuban. Precisely located in Jojogan Village, Mulyoagung District, of Tuban Regency East Java. Nglirip Waterfall can be reached either by using private vehicles or by public transport. From the terminal you can ride Tuban Montong majors, and forwarded to the department Jojogan ride. Nglirip Waterfall is located between Montong and Jojogan. Or it could also majoring Jatirogo bus, get off at junction Shop sales drop, Jojogan. After that you can ride Montong transport department (as opposed to route the first way).